1.3.1 More pictures on Instagram. Follow my page on Facebook. 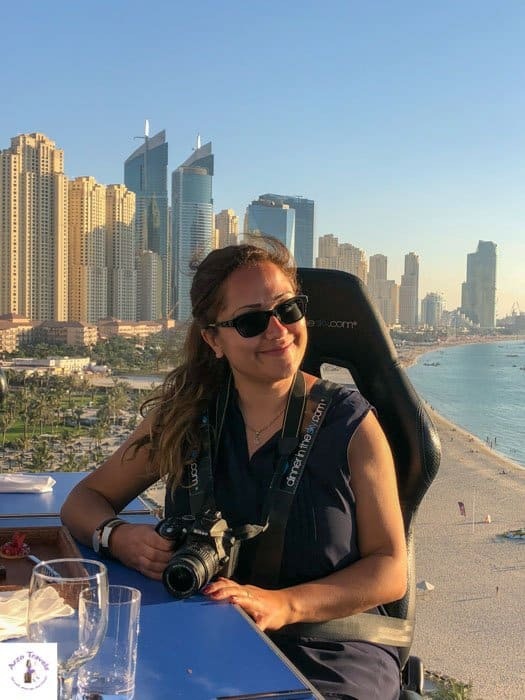 As a huge desert fan, I was absolutely determined to visit Dubai´s desert again. The last trip to the desert turned out to be my travel highlight and so I did not want to miss out. 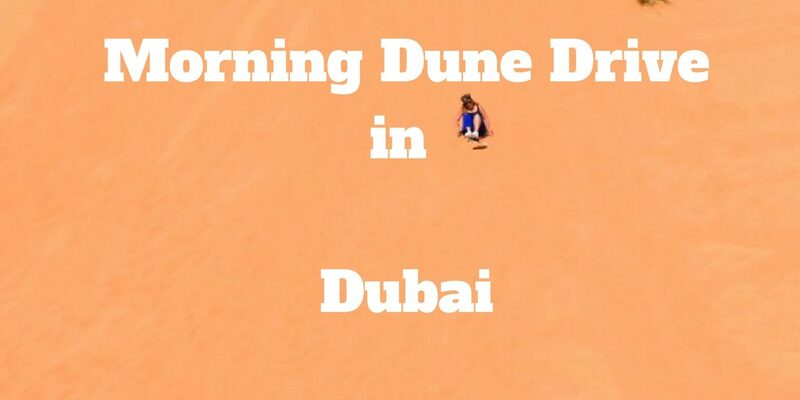 My Adventures in the Morning: Morning Dune Drive in Dubai. I am very bad with heat, but I eventually decided to do the “Morning Dune Drive” (the price was around 45€ per person). 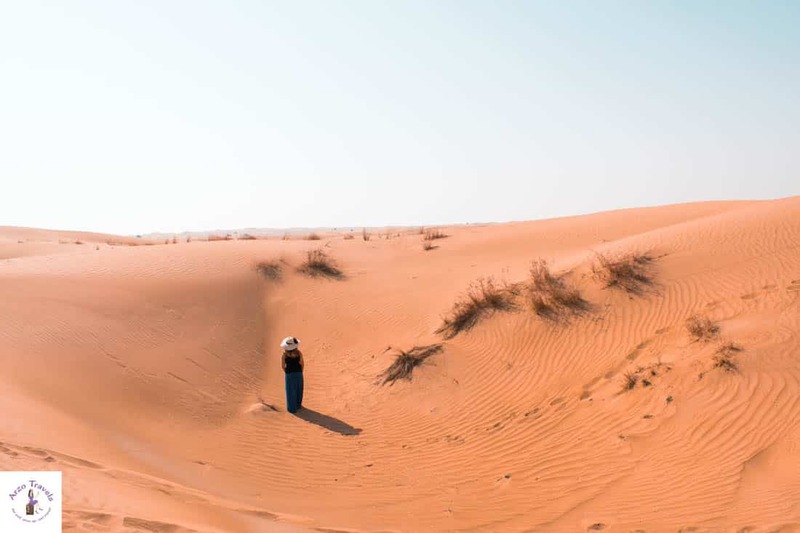 After my very positive experiences with Arabian Adventures in March, they were definitely my first choice this time (read about my previous Dubai Desert Safari here). 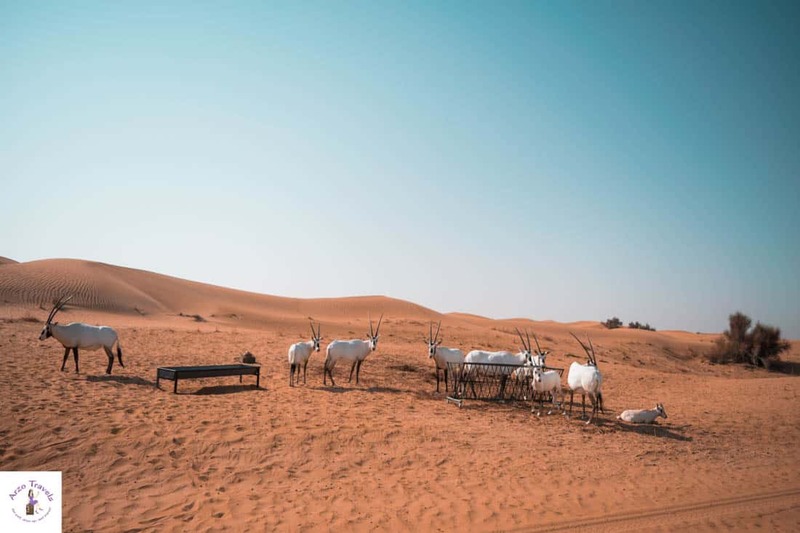 There are many Dubai desert safari tours offered and it is probably not so easy to choose the perfect one. 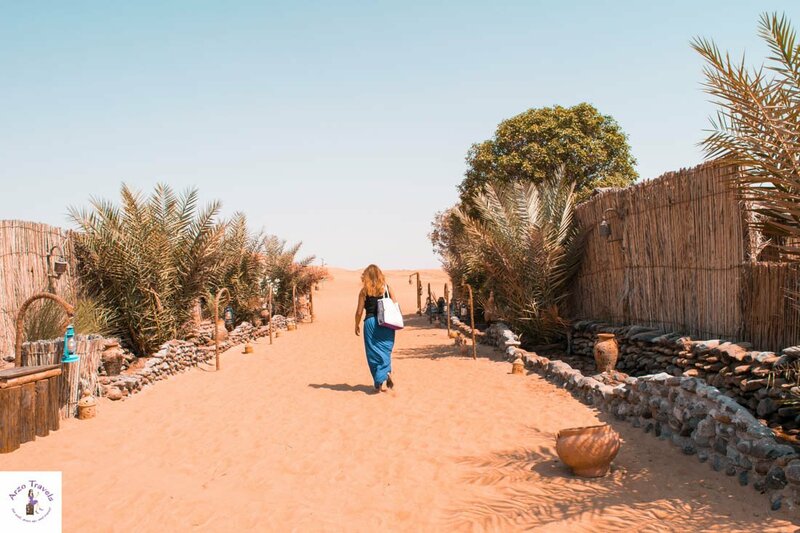 I think it depends on how much time you have (since some are much shorter than other desert tours), on your budget, and on the interests you have. My blogger friend Gabby and I were picked up from my hotel around 7:30 am (when it comes to tours “Arabs” are pretty punctual). 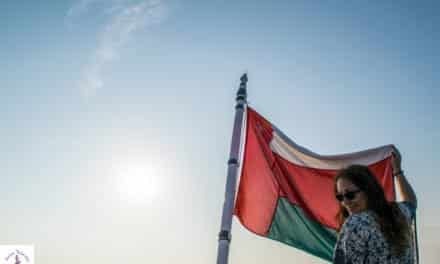 Together with the driver and a German family of four, we drove to the Dubai Conservation Center, which takes about 60 minutes from Dubai Marina, where I stayed (for hotel recommendations in Dubai read more here). Once we arrived there, the driver, a fun and entertaining guy, had to deflate the tires of our vehicle. We waited for a few more 4-wheel drive vehicles to arrive before we could head into the dunes. Starting slowly, and spotting some desert wildlife along the way, we then started with the dune bashing which I personally love. 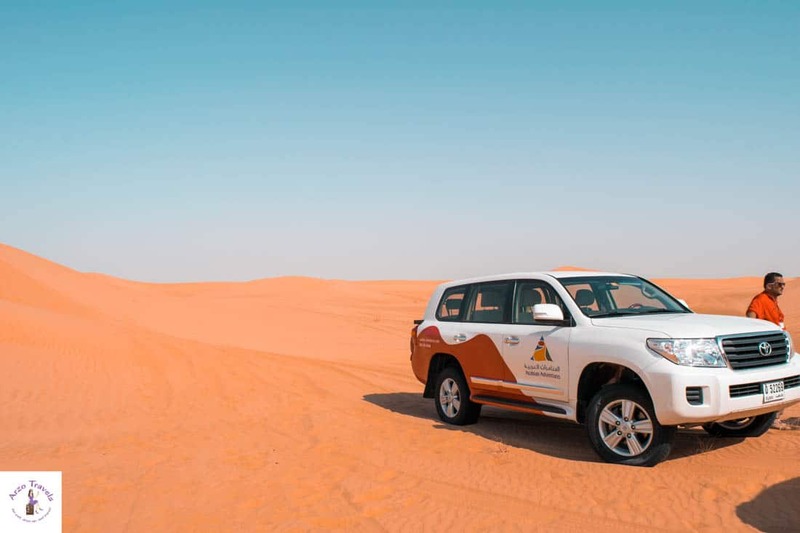 It is just so much fun to do the dune bashing – if you like fast driving and some action. After a few minutes of fast driving and a photo stop, we were ready to do the sand boarding. I had never done any kind of skate- or snowboarding, and so I tried out the “beginner´s version” by sitting on the board. Some others seemed to be pretty experienced in boarding and did a great job, though. 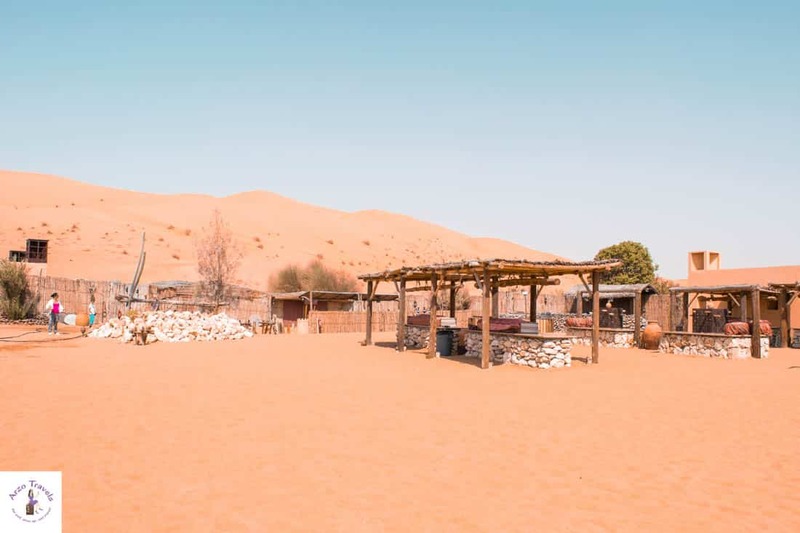 If you want to do the sand boarding do not forget to bring close-toed shoes, preferably sneakers. As mentioned earlier, I am not good at handling heat and so I could not/ or did not want to try it again. Most of us were already very exhausted and looking forward to having some breakfast in the camp. 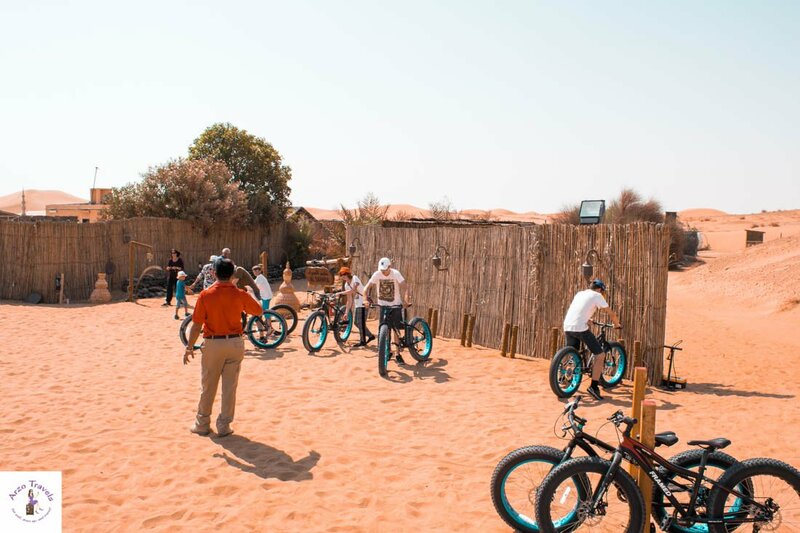 The very sporty ones tried a tour with the fat bikes in the desert. I was already pretty sweaty and thought, I could not risk any more activity without melting. So I joined those who were heading into the camp. I was familiar with the camp from my visit back in March. Back then though it had been at night and had a bit more of a romantic atmosphere to it. 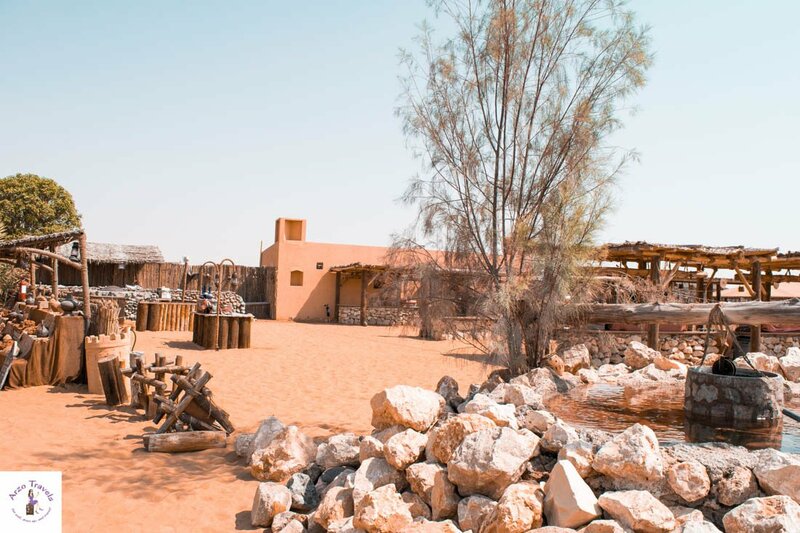 I truly believe that a dinner in Dubai´s desert should be on your list, whenever you are in the United Arab Emirates. It still looked interesting at daylight and had a nice “Arabian” feel. It looked very lovely with all the rugs and the shadows. There were some cold soft drinks and some snacks (luckily vegetarian) and resting on the rugs was definitely a great way of enjoying the desert´s heat the most. Despite the heat, we had a great time. I am incredibly happy that I did not miss out on this opportunity. 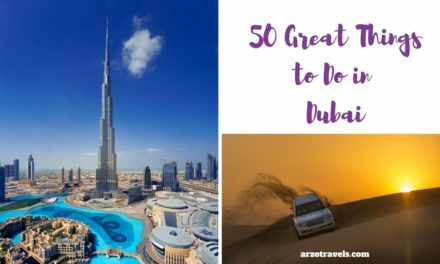 I can not wait to visit the desert again and I think it should be on every Dubai itinerary (have a look for: How to spend 3 days in Dubai). 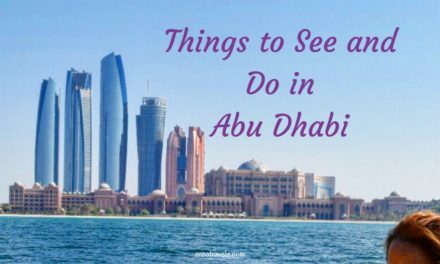 If you are looking for more information check out my posts about Dubai. Find hotel reviews, itineraries, restaurant reviews and more here. Disclaimer: Gabby and I were invited by Arabian Adventures, but, as always, all opinions are my own. 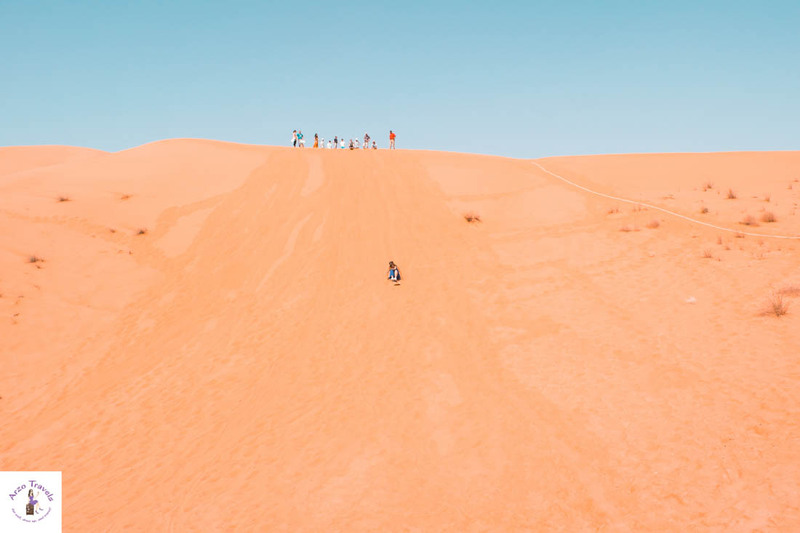 “Sand boarding” in Dubai´s desert. More about morning adventures in the desert.